Maricopa County elections officials will give voters a chance to confirm their identities before it rejects their early ballots due to mismatched signatures, granting a request by a coalition of civil and voting rights groups that hopes to see such policies enacted statewide for the 2018 election. 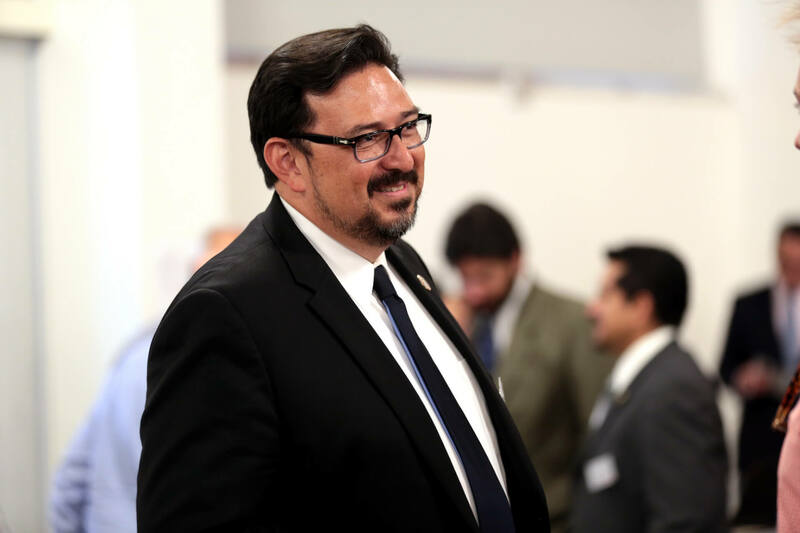 County Recorder Adrian Fontes said his office’s top priority is to ensure that voters’ needs are met. And as long as his office has the ability to contact voters to find out whether they were the ones who signed their early ballot envelopes, he said it should do so. Just 24 hours earlier, Fontes told The Mirror that he liked the idea, but that his office lacked statutory authority to implement the policy. However, he emphasized that no statute prohibits him from doing so, either. The policy change comes on the heels of a letter that the American Civil Liberties Union, League of United Latin American Citizens, League of Women Voters of Arizona and several other organizations sent to Secretary of State Michele Reagan urging her to instruct county recorders to give voters the chance to confirm their identities if the signatures on their early ballot envelopes don’t match the signatures on file from their voter registration forms. The letter also went out to all 15 county recorders. The groups said they may sue if the change isn’t made. Fontes said he also made the decision after reviewing a judge’s ruling in a similar case out of Georgia. In that case, a federal judge on Wednesday ordered Georgia Secretary of State Brian Kemp to stop rejecting absentee ballots over signature mismatches without giving voters an opportunity to affirm their identities. In the 2016 general election, 2,657 early ballots were rejected because of mismatched signatures. Maricopa County accounted for 1,451 of those rejected ballots. Pima County is the only county in Arizona that already has a policy of reaching out to voters about mismatched signatures on their early ballots. The office believes its authority to implement that policy stems from a state law designed to allow elections officials to challenge a voter’s identity, which can be done through 5 p.m. on the first Monday after an election. Pima County rejected 472 early ballots over mismatched signatures in the 2016 general election. Attorney Danielle Lang of the Campaign Legal Center, who was one of the signers of the letter to Reagan, said her group hasn’t heard from Fontes and looks forward to discussing the new policy with him. “Obviously, if he’s going to make a change, that would be welcome news and certainly the goal of our letter,” Lang said. Only a legal I’d will prevent I’d fraud!